share information, collaborate on projects and automate business processes. However, in addition to the basic workflow capabilities that come with SharePoint, organizations also need sophisticated, reliable SharePoint workflow apps with advanced capabilities. Since custom code can be expensive and time-consuming, and customization options are limited in cloud-hosted SharePoint environments, third-party applications make it possible to build advanced SharePoint workflow applications without dealing with the challenges of custom code. 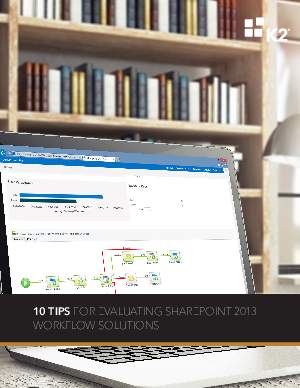 To help you evaluate third-party workflow solutions, here are 10 tips to consider.